Many thanks for all your birthday wishes. I was 51 this week. 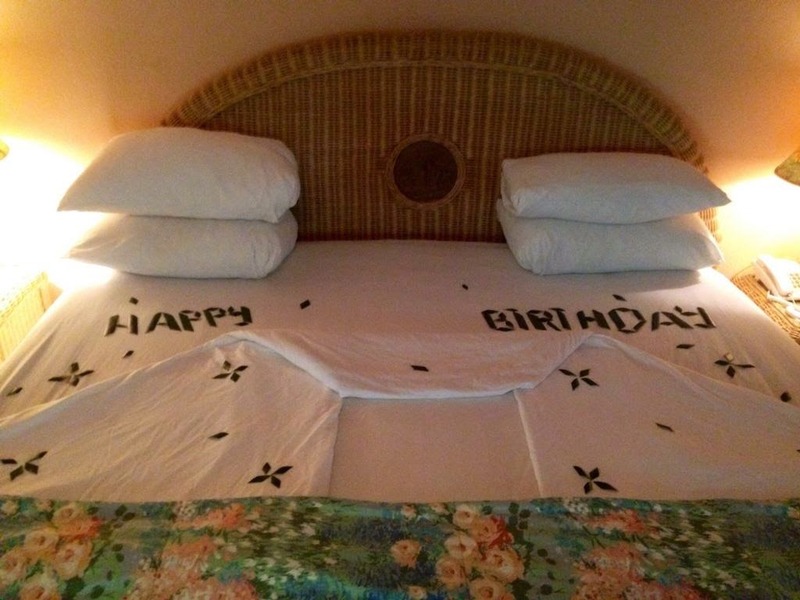 I celebrated my birthday at the Coco Reef resort in Tobago in the West Indies. This is what the staff did for my birthday! 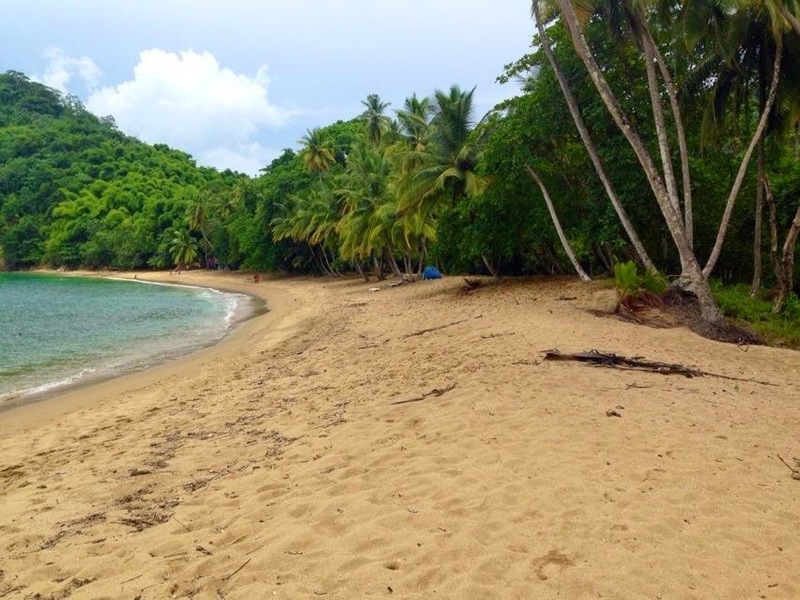 I also managed to tour the island, including Englishman's Bay, where they filmed The Pirates of the Caribbean. It is, as you can imagine, an amazing island. It's been quite a hectic few weeks! By any standards, it's been a hectic schedule this summer and autumn. Here's a press release on what's been happening in my world! 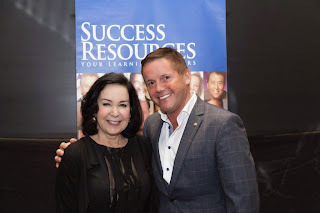 Social entrepreneur and multi-millionaire Kevin Green has plenty of reason for celebrating this week. He’s spent his 51st birthday in Tobago and he also been able to celebrate a breakthrough moment as an in-demand international motivational and business speaker. “This summer and autumn has seen me break through onto the world circuit of speakers,” Green said before taking the stage at Wales’ biggest business exhibition in Cardiff. Green completed a whirlwind tour of Vietnam, Singapore, Thailand and Malaysia before taking a short holiday break in the West Indies and then returning to home territory for the Introbiz Business Exhibition at the Cardiff City House of Sport. “I’ve been clocking up the air miles,” Green laughed. Green is already an annual visitor to New Zealand and Australia for public speaking engagements. He is in regular demand on the UK speaking circuit and regularly lectures in London on his own Kevin Green Wealth seminars. This year, he has branched out into speaking engagements in The Netherlands and Belgium. “Europe has been a great growth area for my brand of business speaking and training. I get a wonderful response the other side of the English Channel. “The response in the Far East, meanwhile, is mind-blowing. “The audiences are massive and the venues superb. The people are wonderfully friendly and you get a great vibe and great feedback from helping people further their business and entrepreneurial ambitions. Green, the UK’s largest private landlord, is currently in negotiations to return to Vietnam to deliver training on property investment. He added: “Most of my talks in the Far East were on the theme of creating wealth and happiness and the response was very positive from all the delegates. “Next in the pipeline are trips to New Zealand and, hopefully, Australia. “It all sounds like a ‘jet-set’ existence, but, in reality, it is also hard work. 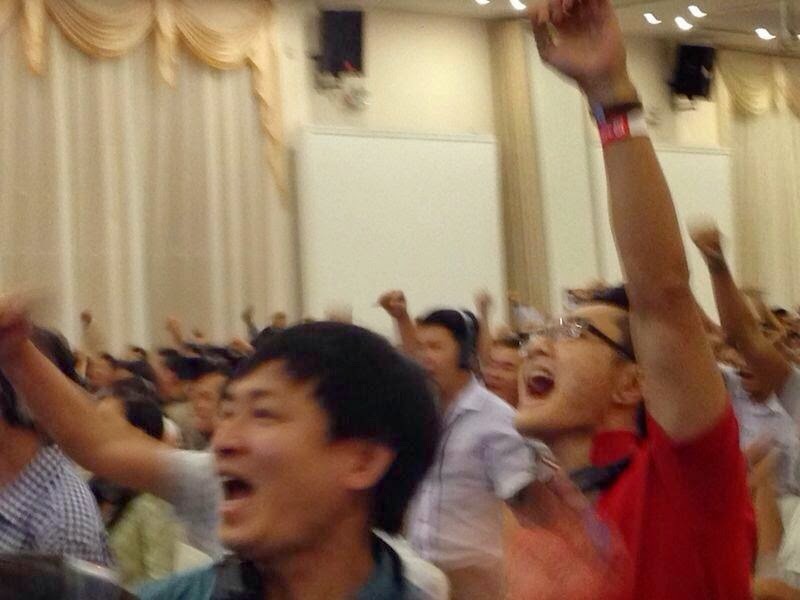 And the crowd go wild as Kevin Green speaks in Ho Chi Minh City in Vietnam. Kevin Green with fellow speaker and investor Mary Buffett, who discussed her own Buffettology theories. 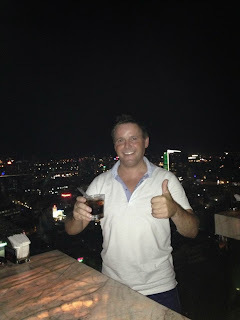 Kevin Green enjoys a drink at Saigon's famous Chill Sky Bar. It was 'back to school' for me yesterday! It was a case of going 'back to school' yesterday as I visited the children of Swiss Valley Primary School in Llanelli. Multi-millionaire and social entrepreneur Kevin Green took time out from his busy schedule to give a special talk to the children of Swiss Valley Primary School in Llanelli. Mr Green delighted the children by turning up for the talk in his Aston Martin car. 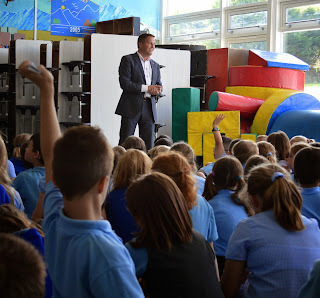 He gave the children a 20-minute talk on how he's managed to turn his life around from being homeless in 1988 to running a property portfolio which makes him the UK's biggest private sector landlord. Mr Green stressed the importance of hard work in striving to achieve your dreams. He also gave the children some handy business tips. "There's a budding entrepreneur in everyone," Green said. "The children of Swiss Valley School have been working hard on a gardening project in the school and are now working on selling their produce and their seeds. "It's great to see first hand such enthusiasm and it's also great to see teachers like Neil Lane working so hard to develop children's sense of achievement alongside practical skills and business skills." Mr Green was given a guided tour of the school's gardening project by headteacher Ceri Morris. The children also grilled Mr Green on his achievements in a question and answer session. "It was wonderful fun," said Mr Green. "I work alongside the Welsh Government in helping to develop entrepreneurial skills with young people. "As far as I am concerned, you can never start to early when it comes to learning about business and being an entrepreneur. 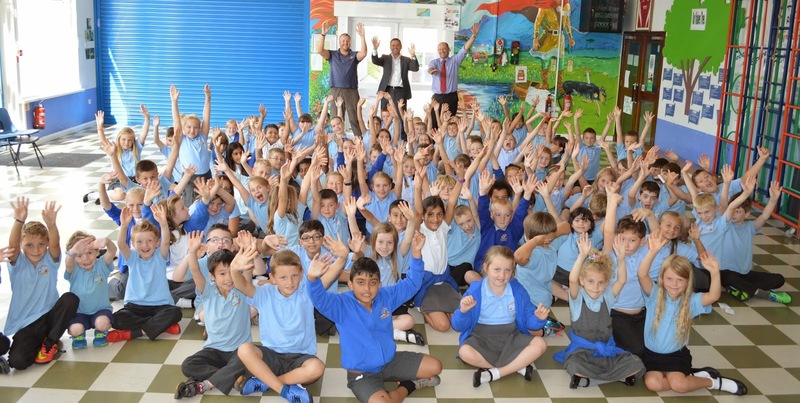 "From little seeds, great things grow and I am sure that at least some of the youngsters involved in the Swiss Valley gardening project will develop into the entrepreneurs of tomorrow, helping to drive the Welsh economy forward." Mr Green's visit followed an earlier trip to Ysgol Gymraeg Teilo Sant in Llandeilo, where he gave a similar talk on developing business skills.